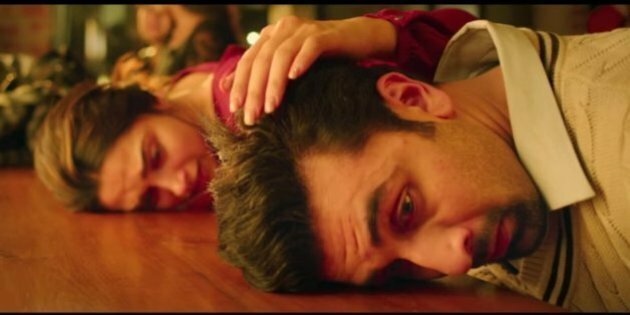 Remember what a wonderful watch Imtiaz Ali's Tamasha was. The movie triggered something within us which just shook our existence. Both Deepika Padukone and Ranbir Kapoor were phenomenal in their roles as Tara and Ved. The movie got a great response from the audience too and there was one scene which just got stuck to our minds after we left the theaters. The scene in the cafe where Ved has an emotional outburst and Tara doesn't know how to react. Recently, Imtiaz Ali threw some light on the same scene and decoded it for the fans. He said the scene was shot over two nights. Sometimes had to cut shots, even great shots, to make sure Tara doesn't break down. Because if she did there would be no recovery. The director further added saying that one needs actors like Deepika and Ranbir to play such scenes. The actors improvised and added little points to make it what it turned out to be. According to Imtiaz, the scene was "cruel" when Ved (Ranbir) is aware of what he's doing and how he's behaving with Tara (Deepika), but he is unable to control. During that moment, the two different sides of Ved became crystal clear to the viewers. Intense right? The scene too was. Only actors like Deepika and Ranbir and director like Imtiaz Ali can create such emotions on screens. These days the director is busy wit the sequel of Love Aaj Kal with Kartik Aaryan and Sara Ali Khan.